Holiday gift guides watch out!! I bet these soaps are going to make the top of everyone's wish list this season. 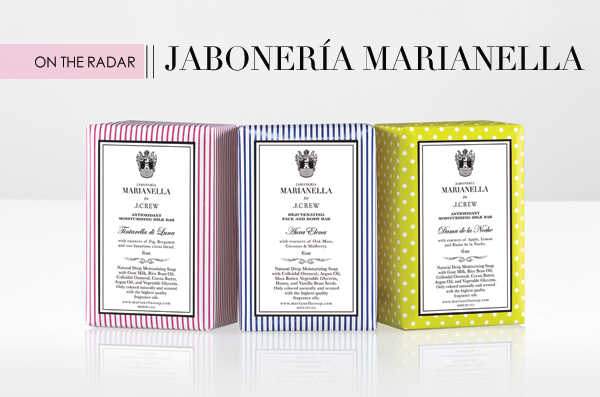 On the radar today we have Jabonería Marianella, makers of delicate and luxurious soaps. Best kept secret? For us Dallas locals it has been our little secret for the past few years as they are sold in one of the chicest boutiques in town, Stanley Korshak, where Jabonería Marianella had its start. But this best kept secret is now coming out as one of our dear-to-our-hearts brand, J.Crew, is launching three co-branded soaps with them starting this month. You know J.Crew knows a good thing when they see it (or smell it and touch it in this case). 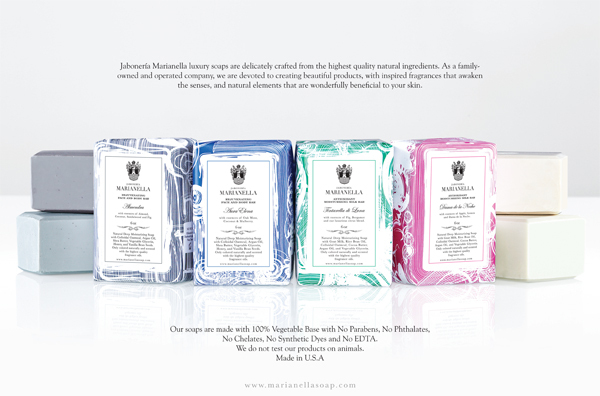 With its elegant packaging, colorful exterior, divine scents and a lather that will leave you singing in your shower Jabonería Marianella is taking the leap from mother and son home-based start-up to global distribution and I couldn't be more excited for this dynamic duo. 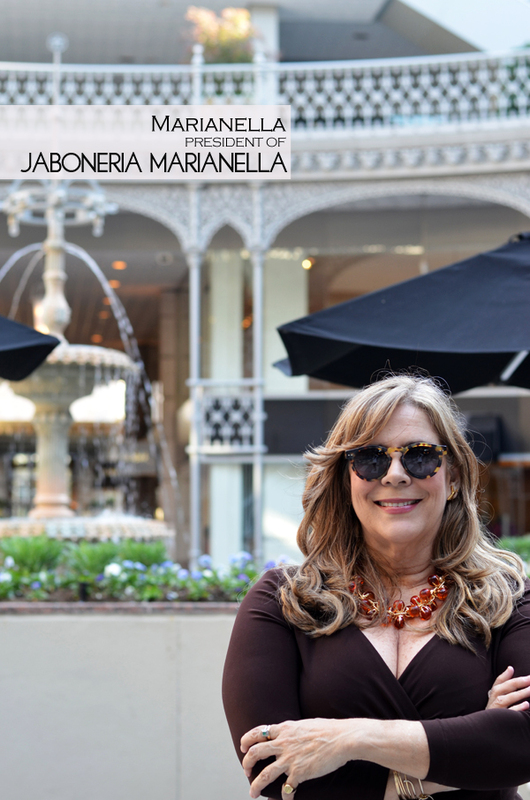 I had the opportunity to meet with Marianella, the President and Founder of the company, and ask her a few questions. What struck me most about this passionate lady is her drive, passion and enthusiasm. She is exactly what I envision when I hear the word entrepreneur. What inspires you? I draw inspiration from people, places, feelings and situations that have been significant in my life. What you are defines you, and I think anything that is done with love and dedication will flourish. This can be seen clearly in our most popular fragrance: Aura Elena. This soap was inspired by my mother, her sweetness in her old age, and lovely moments we shared together. What are you proudest of? The resilience of my children, like bamboo trees they bend with the wind but are never uprooted. I admire this quality in them! What can you not live without? My children. What is your favorite place in the world? My most favorite place in the world is Mil Luces, my mother's house in Caracas, for me it is home and that is where love is. How would you describe your style? My son says I am a free soul... I think that is my style. How did you get started on your business? I made my son soaps as a gift, and he loved a particular one I made for his birthday, Dama de la Noche, with his favorite colors and scents he most cherished from his childhood. He loved it so much he wanted to package the soaps and sell them. So he put together a website and together we developed the fragrances. Our first store was Stanley Korshak. 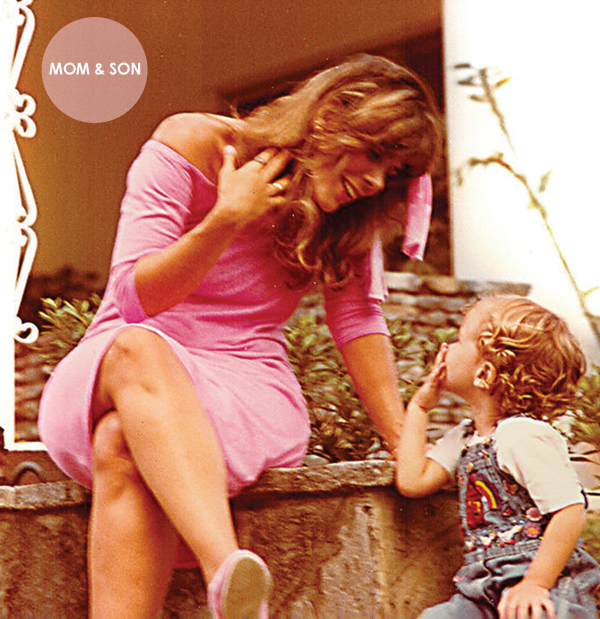 My son then took the soaps to W Magazine and to our surprise they featured us. We then started getting store orders and other magazine requests. As the business evolved, we fine-tuned our fragrances, refined our formulas, and worked for the last couple of years in the brand's relaunch. We wanted to do something unique, a line of products that were not only beautiful but beneficial for the skin. We selected only the best ingredients to give you the best soap for your skin. 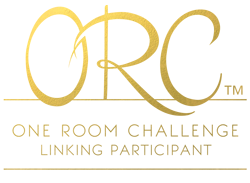 What have been the biggest challenges? I would say the biggest challenge was launching a luxury soap company during an economic recession, but we pulled through, creating a niche of our own that has brought us to the place were we are right now. What advice do you have for anyone starting their own business? Persistence, persistence, persistence... Firmly believe in it and do it with passion, getting better at it everyday; keep it small, do not get into debt, and go on... One day luck comes along and puts you in the right place at the right time. I wish all my baths would be this glamorous! Yes? Anxious to get you some soaps and start your holiday gift shopping early? You can get the soaps here. Toward the end of the month they will be available at J.Crew stores and Stanley Korshak as well. Aren't you all inspired to start your own company now? I have never heard of this brand, but the packaging and product sounds amazing!Great interview too Albertina:) I will look for this at J.Crew! I love learning about new brands and it's the perfect Christmas gift - adore the packaging!! I dont now this soaps. Is great idea for gift . Ohhhhhh Crishmas!!!!!! Well, who wouldn't wanna get all lathered up in that stuff lady? They look divine so can only imagine the smell. Adding to my list of places to shop online this holiday. Also loved the Q&A - persistence, persistence, persistence. Great advice for so many of us. p.s. hello, when are you gonna do giveaways lady? This one could/should be da first. I'm just saying. I'll be on the lookout! Thank you for sharing -- it does look like a perfect gift item! I've had these soaps since they came out on the market and by God the're a delight! Their rich scent and soft leather is unique. Can't wait to try the new Tintarella di Luna! Next time I'm at Stanley Korshak, I NEED to smell these...and possibly buy a few. Thanks for the intro and great interview!! Adorable packaging and sounds like a great company! Love the vintage photo. Oh the packaging is stunning! What a great post! Loved reading about the strong family connection within the brand. Now, I'm dying to smell these scents! Soaps are always a great gift and J'adore the packaging of these ones! And the name "la jabonerìa" reminds me of my holidays in Spain ...! I love me some soaps and the packaging is fabulous!!! I'm such a sucker for pretty soaps! I'm going to start collecting them in an XL apothecary jar above my tub. Can't wait to check these babies out. Est-ce que ces richesses viendron-t-ils à Paris maintenon ? Je vous en prie ! Nous avons besoin ici des Marianella savons pour les fettes de Nöel !